The wall charger that came with your phone just doesn’t cut it while traveling these days. 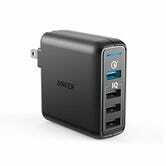 In addition to it being slow as hell, you likely have at least two or three other USB-powered devices that you’ll want to charge every night while you sleep. 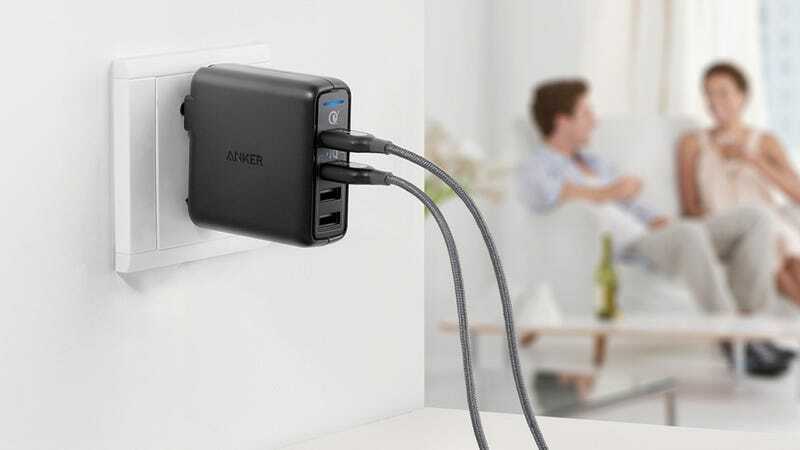 Luckily, Anker stuffed four USB ports (including a Quick Charge 3.0 port) into a tiny travel charger with folding AC prongs, and you can get it for $15 today on Amazon by clipping the $2 coupon on the page and using promo code KINJAWALC. That’s the best price we’ve seen on this by a full $7, making this a great last minute stocking stuffer idea.